Vedel Bird was designed by architect Kristian Vedel in 1959. Vedel designed an entire family of Birds children, parents and grandparents. 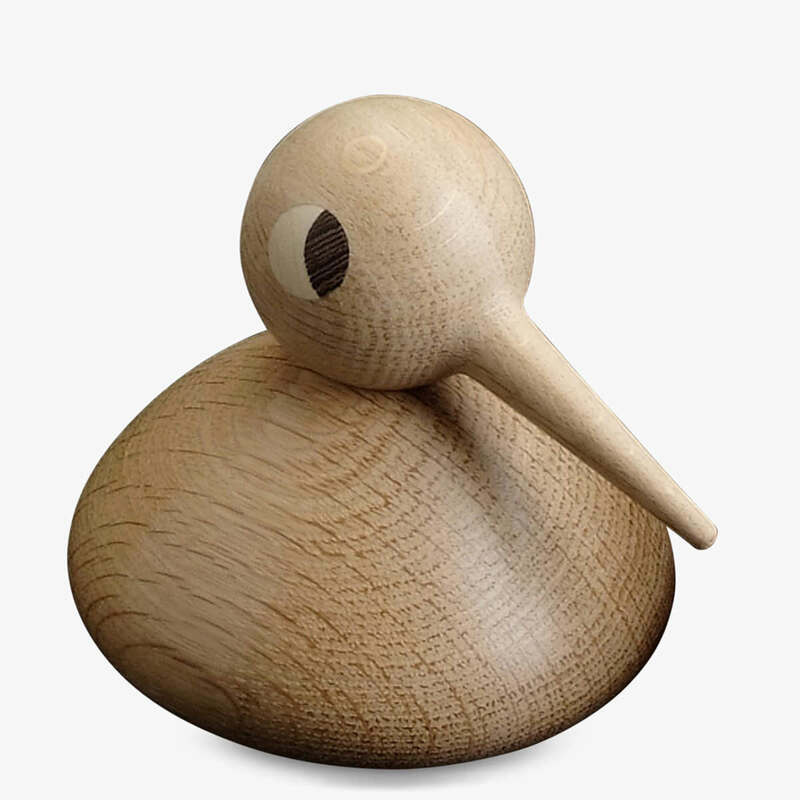 The birds are still handmade in Denmark in natural or smoked oak, that has been aged 15 years. By tilting their heads in virtually any direction, the BIRDs can express every frame of mind - happy, sad, curious, alert... The bodies can be turned upside down to play with dimensions.